According to its official website, blumhouse.com, Blumhouse Productions is “the celebration of all things scary”. Founded in 2000 by American producer Jason Blum, the company has taken the horror film market by storm but this was not the original plan. In his keynote speech at the South by Southwest festival in 2014, Blum explains that Blumhouse struggled to make any impact on the film industry before 2009. In the company’s earlier years, he was very frustrated after producing eight independent films “that nobody saw” (SXSW). In an effort to establish Blumhouse, he decided to produce the “big studio movie” Tooth Fairy (2010), a family comedy with a $48m budget. Blum “hated everything about that job” (SXSW) but loved seeing how a studio movie was released. He observed that the same ticket price could be charged for a low-budget independent movie and a big studio movie whose total production spend might have exceeded $100m. Paranormal Activity (2009) was released within a few months of Tooth Fairy and, as I describe below, experienced record-breaking financial success. Therefore, Blum decided to combine his experience of working in both independent and mainstream cinema by pioneering a new model of filmmaking: produce low-budget films and release them through the studio system. Managing to repeatedly emulate the success of Paranormal Activity seemed farfetched, many onlookers considering it a cultural anomaly much like The Blair Witch Project (1999). However, Blumhouse proved them wrong by releasing a sequel in 2010 followed by Insidious in 2011, Sinister in 2012 and The Purge in 2013, all of which were produced for $3m or less and grossed between $77.7m and $177.5m. Before long, Blumhouse was an established Hollywood production company. Blumhouse’s low-budget model emerged out of the 2007-8 financial crisis and is based on the idea that the company will not incur substantial losses if a film is deemed unsuitable for a wide release. Instead of spending millions of dollars in marketing to try and recuperate the money spent on production, Blumhouse can simply move onto the next project. Since Tooth Fairy, Blumhouse has never spent more than $10m on a project and even then it is only on sequels in their established horror franchises. Blum expresses his regret at turning down The Blair Witch Project (1999) which ultimately made $248.6m from a $60,000 budget (Box Office Mojo). Ten years later, Blum saw Paranormal Activity which a company had purchased for $150,000 and intended to release straight to DVD. Blum recognised the film’s potential and begged director Oren Peli to let Blumhouse attempt to find a distributor despite all of Hollywood having already seen it (SXSW). The film was screened at festivals for two-and-a-half years before Paramount finally showed interest. Perhaps a result of internalised frustration at missing the opportunity of Blair Witch, Blumhouse’s perseverance meant Paranormal Activity launched found-footage as a bona fide subgenre which has dominated the horror film market until the present day. Paranormal Activity is undoubtedly responsible for much of Blumhouse’s success. It began as an indie project in 2007 for $15,000 and ultimately grossed $193.4m worldwide, ostensibly the largest return on investment of any in film history. Blum notes that Paranormal Activity was held back for so long because Blumhouse were deciding whether or not to take the risk of investing in marketing and there were fifty reshoots in the meantime (SXSW), bringing the final production spend to around $450,000 (The Numbers). Blumhouse spent considerably more than the initial $15,000 but stayed true to its low-budget model and subsequently capitalised on the winning formula, producing primarily horror films thereafter. Blumhouse’s enormously successful franchises include Insidious (2011-), The Purge (2013-) and Ouija (2014-). The sixth and final instalment of Paranormal Activity was released in 2015 bringing the series box-office gross to $890.5m from a collective budget of $28m (Box Office Mojo). Paranormal Activity topped worldwide horror box-office charts between 2009 and 2012, Insidious was second between 2013 and 2015 and The Purge was third last year. Split (2016) holds the top spot in 2017 and it seems that Blumhouse’s model of filmmaking is still gaining momentum. The company has a ten year first-look deal with Universal, exploiting the benefits of both independent and studio filmmaking. Blumhouse submits “a script, a budget, a schedule and the director to [Universal] and they can either say yes or no” (SXSW). If they say no, Blumhouse finances the film elsewhere and if they say yes, Universal only becomes heavily involved when the film is screened, at which point “we go from a $3m or $4m decision which is the budget of the movie to a $30m decision which is the P&A on the movie” (SXSW). Blum prides himself on being transparent about finance, indicated by his willingness to admit that an average marketing spend is $30m. Blumhouse minimises budgets by sticking to a structured production plan. The majority of projects are filmed in Los Angeles with very few location shoots, minimal speaking parts and no CGI. The shoots last 20-25 days and on each film everybody who “works above the line”, i.e. all cast and crew, either does so for free or for minimum wage as dictated by the union. Profit is shared among all who were involved in production and everyone is aware of their exact bonus if the film meets specific financial targets (SXSW). Blumhouse minimises risk by never working with first time directors and in return for a low fee, allows them sole creative control. Blum cannot promise a box-office hit, but can promise that the film will be entirely their vision, describing this process as “auteur filmmaking for commercial movies” (SXSW). Directors are aware from the outset that Blumhouse cannot guarantee a wide release because a studio might not be interested, but ensures that it will at least be available on online streaming services and other ancillary markets, therefore still reaching an audience. Blum prefers to work with directors who are not the most sought after in Hollywood but instead have released quality films in the past and now “have something to prove” (SXSW). James Wan was approached because his 2004 film Saw was a cultural phenomenon but he experienced trouble with studios following its release, being forced to make another film, Dead Silence (2007) in case Saw was a flop. He and screenwriter Leigh Whannell recounted their “hellish experience of making a bad horror film” (Whannell) and determination to prove themselves as talented filmmakers. Blumhouse gave Wan a budget of $1.5m to make Insidious with which he managed to emulate the success of Saw by grossing $97m worldwide. Blum contends that when films are made for such low budgets there is no need to focus on research and development or on what is popular in the current market. Characteristic of his carefree attitude he explains that “that is what so fun about the [Blumhouse] model […] we don’t have to worry about that stuff” (SXSW). Blumhouse recognises that Hollywood is changing and had expanded his company’s focus accordingly. While still dedicated to producing low-budget horrors, the company also co-produced The Normal Heart (2014), a television film which won the Primetime Emmy Award for Outstanding Television Movie. And the dramatic feature film Whiplash (2014) became the first (and so far only) Blumhouse project to win Academy Awards. In September 2014, Blumhouse launched BH Tilt, a sister distribution company which distributes films from Blumhouse and other filmmakers for multi-platform release. The purpose of BH Tilt is “to be part of the continuing evolution of distribution, whether it be through changing marketing strategies, changing revenue sources or changing windows” (Fleming Jr). BH Tilt began with Creep (2014), released via video on demand followed by Netflix. Creep was critically acclaimed and two sequels are planned along with other BH Tilt projects. This demonstrates an awareness of the industry, with cinema attendance on a downward trajectory and home media subscription services increasingly popular. November 2014 saw the launch of Blumhouse Books, a new strand of the company dedicated to having filmmakers and authors create original horror and thriller novels. The first, The Blumhouse Book of Nightmares: The Haunted City, written by Blum, was released in 2015. Arguably, Blumhouse’s latest horror release, Get Out (2017), is a further example of the company’s opportunism. It has been described as a “racially charged horror” (Griffin) and “the first great paranoia movie of the Trump era” (Patterson). Blumhouse has explicitly engaged with politics in the past in The Purge franchise and has made no secret of his leftist political views, attending an anti-Trump protest in January 2017 with Split star Anya Taylor-Joy (Twitter). These views are shared by many of his contemporaries and the 2017 awards season saw Hollywood stars speaking unreservedly of their opposition to Trump’s politics (Oppenheim). Of the sixty Blumhouse films, Get Out is the first to feature a black lead actor and it seems less than coincidental that the company attached itself to a project about racism in the first year of Donald Trump’s presidency. The media is rife with stories of Trump’s perpetuation of a racist agenda, for example by proposing a Muslim travel ban. Get Out has arrived at a time when certain themes are more topical and potentially more lucrative than others. The 2017 Academy Awards were in stark contrast to the previous two years which did not see a single person of colour nominated for an acting award. This year, six actors of colour were nominated of whom two won and Moonlight (2016), the story of a homosexual black man, beat straight white romance La La Land (2016) to win Best Picture, becoming the first film with an all-black cast to do so. Fences (2016), Lion (2016) and Hidden Figures (2016), all starring people of colour, were also nominated for Best Picture and the latter, the little known story of the black female mathematicians at NASA, was the highest grossing film of all the nominees. O.J. :Made in America (2016) won Best Documentary Feature, a five part series exploring race relations in Los Angeles. There is a savvy combination of political commitment and commercial exploitation in Blum’s decision to release Get Out at this time. Tellingly, Get Out does not target (and therefore alienate) conservative Trump voters, but exposes “white liberal racism” (Lee). Indeed, Trump supporters might appreciate Get Out for its anti-political correctness stance. Blum contends that “all of us have little racist things in us […] whether they’re conscious or unconscious and that’s what the movie really brings to light” (The Movie Times). Blumhouse has capitalised on an opportunity to intervene in political debate, attacking racism in solidarity with Hollywood while being careful not alienate his broad audience base. Blum has stated that he sees Split, M.Night Shyamalan’s multiple-personality horror film, as “a transformative moment for Blumhouse […] a Blumhouse 2.0” (qtd. in Guerrasio) and he also prophesied the success of Get Out, which quickly usurped Split to become the highest grossing domestic hit in Blumhouse’s history (Mendelson). Blumhouse looks set to continue its trailblazing success, producing ten to fifteen low-budget films per year alongside multiple other projects. The company has pioneered a production model which is not at the mercy of studio patronage or financial uncertainty, and which manages to maintain maximum creative control with acceptable levels of risk. Blumhouse is flexible and opportunist, but more than this, as Get Out demonstrates, it is also occasionally brave, asking tough political questions when the world is desperately searching for answers. Blum, Jason. “At #sundance protesting Trump and celebrating #split with the great @anyataylorjoy Thank you @MNightShyamalan.” twitter.com. 21 Jan 2017. Web. 16 Mar 2017. Fleming Jr, Mike. “Blumhouse Launches Multi-Platform Arm BH-Tilt.” deadline.com. 9 Sep 2014. Web. 12 Mar 2017. Griffin, Dominic. “Jordan Peele’s Racially Charged Horror Movie ‘Get Out’ Is No Joke.” dcist.com. 24 Feb 2017. Web. 10 Mar 2017. Guerrasio, Jason. “How the company behind 2 of the year’s biggest movies is blowing up the Hollywood playbook.” uk.businessinsider.com. 1 Mar 2017. Web. 25 Mar 2017. Lee, Benjamin. “Get Out review – white liberal racism is terrifying boogeyman in sharp horror.” theguardian.com. 6 Mar 2017. Web. 15 Mar 2017. Patterson, John. “Get Out: the first great paranoia movie of the Trump era.” theguardian.com. 6 Mar 2017. Web. 12 Mar 2017. Whannell, Leigh. “Dud Silence: The Hellish Experience Of Making A Bad Horror Film.” thewordinthestone.com. 31 Aug 2011. Web. 20 Mar 2017. Mendelson, Scott. 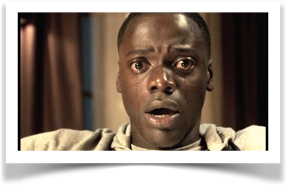 “Box Office: ‘Get Out’ Passing ‘Split’ To Become Blumhouse’s Top Domestic Hit.” forbes.com. 22 Mar 2017. Web. 25 Mar 2017. Oppenheim, Maya. “George Clooney backs Meryl Streep’s anti-Donald Trump Golden Globes speech.” independent.co.uk. 10 Jan 2017. Web. 22 Mar 2017. SXSW. 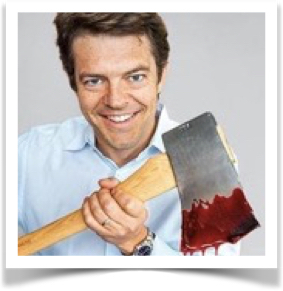 “Jason Blum Keynote (Full Session) | Film 2014 | SXSW.” Youtube. 4 Jun 2014. Web. 15 Mar 2017. The Movie Times. “Jason Blum: GET OUT.” youtube.com. 10 Feb 2017. Web. 16 Mar 2017. “Franchises: Paranormal Activity.” boxofficemojo.com. Web. 26 Mar 2017. “Paranormal Activity (2009).” the-numbers.com. Web. 26 Mar 2017. “The Blair Witch Project.” boxofficemojo.com. Web. 26 Mar 2017.